I’ve always been interested in phasing-type DC receivers. The recent spate of software-defined radio (SDR) projects based on the Tayloe QSD detector got me wanting to build a phasing receiver based on a hardware implemenation, but using the QSD. 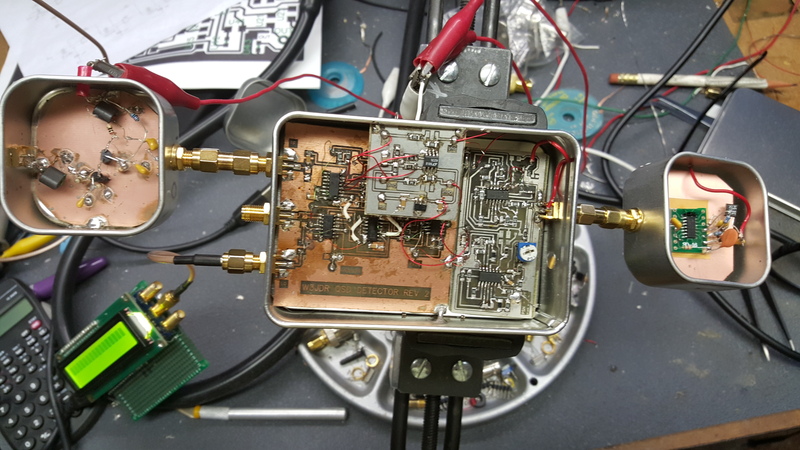 I have a prototype running on my bench and it looks very, very good and is easily made to work on any HF band merely by using the correct pre-selector filter. It easily achieves well below 0.3uv sensitivity across the range and has an AGC’d front-end for gain control and antenna isolation. I’ll be unfolding this here in the next couple weeks.